Have you ever been to a restaurant, starving, you’ve already made up your mind what you want, way before you reach the table. 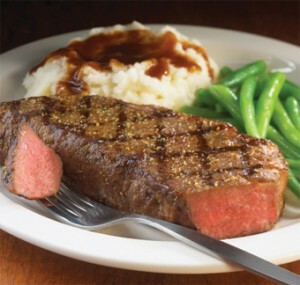 In one quick breath you rattle off your order “I’ll have the steak with loaded mashed potatoes and green beans”. As soon as the words leave your mouth your stomach growls with approval and anticipation. Fifteen minutes later, you spot the waiter walking toward your table, holding a tray of steaming hot plates. Your mouth waters, and you slide your glass of wine to the side to make room, you can almost taste that steak! The waiter stops at your table and plops down a delicious plate of sautéed salmon and steamed vegetables? *record scratch*. “ Ummmm….I didin’t order this.” You politely say to the waiter. For a half second you almost tell him to leave the plate, you’re hungry and you do like salmon. But you ordered the steak, you send it back. That’s kinda how I feel about “cold” emails. I’ll be honest; I have a steak/salmon (love/hate) relationship with cold emails. I love them, because they usually have some information that I could probably use. On the other hand, I hate them because well-I didn’t order (subscribe) to them. I have enough emails in my inbox, which I asked for, and sometimes I don’t even get a chance to read them. Yeah you may have awesome info but chances are I’m going to send it back (unsubscribe). Tailor your cold emails to be more appealing to the recipients…if you obtained email addresses from a partner/vendor, shape your email message to appeal to that vendor’s buyers. In a B2B world, go straight to the value add –what information/education/assistance are you providing? Give them something free. You want them to actually subscribe to your emails right? Don’t be discouraged; If your cold emails aren’t being read, just find another way to get your message across. Be creative. Just remember, no matter how good your salmon (cold email) looks, I ordered the steak and that’s (usually) what I want!